Unique and clever kids stories about dealing with bullying in a constructive manner. These two children's books will engage and inspire kids to overcome bullying at school. Bullying isn't acceptable, but it happens everyday. 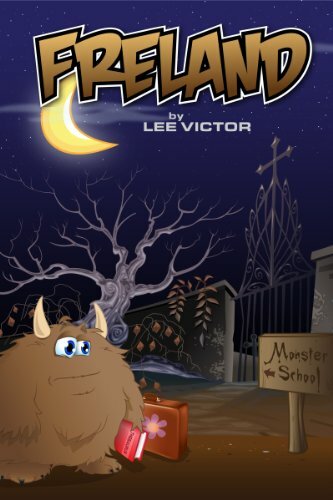 Childrens book author Lee Victor dealt with bullies at school and wants to help other kids. As a result, she has written two engaging and inspiring kids stories about overcome bullying which have been published by Dreamhorse Media. The Floor and Freland are children's chapter books suitable for young kids who want intriguing fun books to read. You can purchase one of these books for your child on Amazon.com. The Floor is available in print or kindle edition. You probably didn’t know that your classroom floor is sworn to secrecy. Rule number one: Never, ever, talk to human beings! However, when Daniel Carter gets bullied at school, one classroom floor decides to break all the rules. Loud, cheeky, rude and demanding, The Floor snorts, smirks and has an opinion on everything. Through their secret meetings, Daniel is pushed to do things he never thought possible. It won’t be easy, but with The Floor’s crazy antics, Daniel just might have a chance to prove that there is a lot more to him than anyone realizes. One thing is for sure, school will never be the same again. The Floor is a children's chapter book suitable for children aged 5 - 12. It has been read very successfully to Primary School kids by teachers. 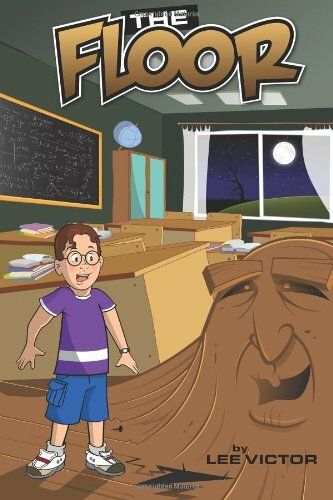 This inspiring kids story is a very entertaining read and may be particularly helpful for kids being bullied, as the the main character deals with bullying in a unique and clever manner. Book cover illustration by Andre Adams. Freland is a young, sweet, furry brown monster with big blue eyes whose most treasured possession is his Thesaurus. He lives in the sleepy town of Grumpy Hill and is often found writing poetry as he watches the crystal clear creek sparkle in the sun. That is, until his parents pack him off to the famous Monster School in the big city. Freland is suddenly forced to learn the harsh ways of the monster world. Along the way, he meets the Ancient One, battles the fiercest of monsters in Hellfire and Horror Head, and finds an ally in the beautiful white Selkie. But when Freland is abruptly expelled for refusing to take part in a nightly ‘Scare Fest’, he must find the courage and strength to stand up for what is right. Using his love of words as a weapon, Freland will unexpectedly change the monster world forever. Click here if you don't have a Kindle and still want to be able to download and read a Kindle Book from Amazon.